Senior dating is, clearly, quite unique. It’s nothing like dating when you are in the first flushes of puberty; and the thrill of looking for and finding your first (puppy) love consumes you; when you think about little else apart from the fact that your mind and body are telling you that you should be seeking a companion, however short term such liaison may be. Senior dating is not like looking for, finding, dating and then marrying a partner with whom you wish to have children, raise a family and watch them grow into adults. For most senior daters, the need to have a second family is well gone. As a starter, it’s necessary to consider why a senior dater is available to date/remarry: is it due to the death of a long-term partner; or a divorce or exit from a long-term relationship; or, in some very rare cases, has the senior person never married before? 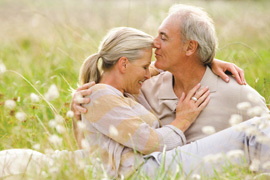 Senior daters also need to consider exactly what they want from a new relationship. Is it companionship with someone of their intellectual standing, someone who has similar interests and life experiences, and is single and available for similar reasons to themselves? Or is it more to do with economic security, knowing that a new partner may help to ease their financial burdens or, alternatively, be wealthy enough to be able to give them a good, new life? Once a senior date has sorted out answers to these questions, it’s time to move on and ask themselves: how exactly are they going to go about finding “Mr or Mrs Right”? Are they going to take chances at the local bars or clubs or other meeting places for senior daters; or are they going to join one of the more reputable senior dating sites catering specifically to seniors who wish to date and/or remarry again?